I’ve been given a blog award but I’m announcing it with a twist and a shout out. Meet my nominator, Jean who blogs 52 Weeks of Ballet, and Melissa, the young blogger behind the award. They got to ask me questions too in this post that covers everything from first dance solos to returning to ballet as an adult. 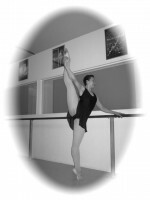 Will Your Site Be A Top Dance Blog of 2010? Engage your readers and find out why they love you. This is valuable to blog owners no matter your readership or chances to be a Top Dance Blog. Even if you don’t qualify for the top ten or twenty, you’ll enter 2011 with encouragement to keep blogging! I started blogging as a way to keep in touch with my family. Then I realized my family never read my blog so I changed the format to blog about a dancer’s life. I figured it would be a way to share my love for dance and the dance world in general to a broader audience. It’s important for me to promote dance any way I can. I was immediately drawn to the material over at Move. Create. Educate for its emphasis on creative movement for young children and began interacting with Maria, the teacher and blogger behind it all. 4Dancers Blog has been around for a few months and I like what I’m seeing. Here’s why I think you will too. Bloggers Emilia and Linda have been sharing their passion for ballet at The Ballet Bag for about four months now. They are off to a great start, producing content that is focused and informative.